Stephen is constructing a tasting room and pavilion for a 10-acre vineyard, planted in Vitis Vinifera and French American Hybrids. The pavilion is the focal point of the tourist experience of the vineyard, offering spectacular views of the surrounding grounds. 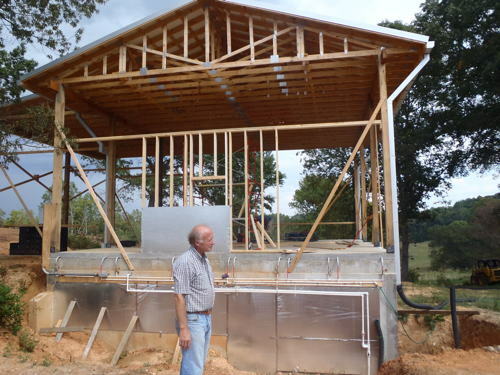 The design incorporates solar heated hot water and geo-thermal cooling. Stephen plans to offer educational tours highlighting the unique nature of WNC wines, the process of making wine and the region’s growing conditions. Thompson is working with neighbor wine grape growers to make his valley an agri-tourism destination.